This section was put together in chronological order by unit in approximately the same order in which they arrived in Korea. It was put together primarily by using the War Diaries , Unit Logs and Unit Histories as well as diaries and histories of higher level units, such as Corps, Army, General Headquarters, Far East Command (GHQ-FEC), Department of the Army, Joint Chiefs of Staff. The originals of most of these files are located at the National Archives located in College Park, Maryland, known as NARA II. Some personal narratives od participants are also used, some on file with the U.S. Army Military History Institute located at Carlisle, Pennsylvania, some from relatives of men who fought in Korea and some from people who are the Official Record Keepers of some of the units. Due to lack of manpower, most combat units in the Far East had only two battalions per regiment instead of the normal three. The only exception was the 24th Infantry Regiment of the 25th Infantry Division. During the Civil War, Congress had designated it as a segregated unit and it remained segregated until its deactivation in the fall of 1951. All regiments had an active 1st Battalion, but for some units, the second active battalion was the 3d Battalion. Artillery units had only two firing batteries instead of the normal three. All tank units, whether designated as Heavy or not, had the lightest tank in the inventory, the M-24. Also all equipment and ammunition was that which was left over after the end of World War II. In an operation known as "Operation Rollup" General MacArthur ordered equipment and materiel which had been stockpiled at various locations in the Pacific to be brought to Japan for refurbishing and reuse. All ammunition in the Far East at the time the war began was left over from the war. Some artillery and mortar shells as well as bazooka shells misfired. Small arms ammunition had been well protected from the humidity in the Pacific by being hermetically sealed in metal, rustproof containers. The primary reason that the 24th Division was sent first was because flying time to Pusan from Itazuke and other airfields in southern Japan was only about an hour and travel time to Pusan from the several ports in southern Japan was only about 12 hours, depending on the speed of the ships involved and weather conditions. The first units to follow Task Force Smith were additional units of the 24th Infantry Division, with the 34th Infantry Regiment being the first full regiment to arrive in Korea. The Commanding Officer of the 24th Infantry Division, Major General William F. Dean was selected to take command of all U.S. Armed forces in Korea (USAFIK) upon his arrival in Taejon on July 2, but for several reasons, his did not arrive until sometime on July 3d. Within ten days, over 17,000 men and 4,773 vehicles had been moved to Korea. That was quite a feat considering that those men and vehicles had been spread over six different areas in southern Japan and had to depart from multiple ports, using whatever shipping that could be made available. 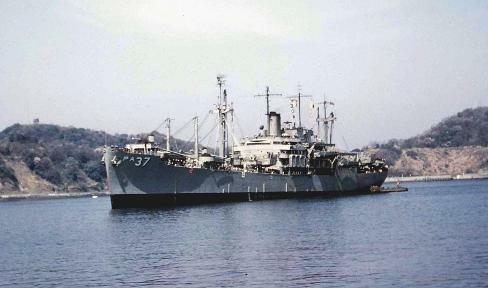 The most common were Landing Ship Tanks (LST's) left over the war and used as cargo ships by the Japanese as most of their cargo and passenger ships had been sunk during the war. You will see the abbreviations Rgt and RCT used almost interchangeably. Regiment (Rgt) indicates a combat unit by itself, while RCT indicates a Rgt with supporting artillery, tanks, Engineer units, etc. Most LST'S were about 325 feet long and 50 feet across at the upper deck. 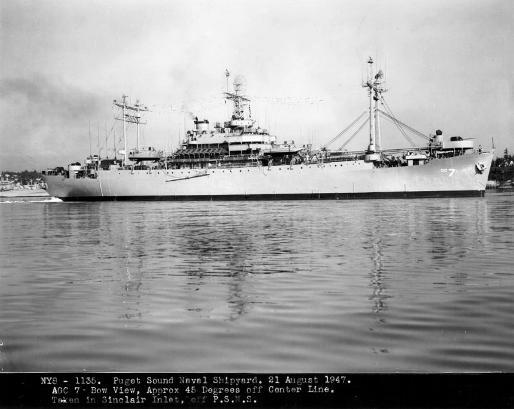 In wartime, combat equipped LST's were manned by 8 to 10 officers and 115 enlisted men. They were equipped with 50 caliber, 20mm and 40mm anti-aircraft guns. They had a speed of about 17 knots and could carry 2,100 tons (4,200,00 pounds) of cargo. They had space enough to carry up to seven heavy tanks as cargo. Most of the LST's used for transporting men and equipment to Pusan were not equipped with weapons, nor were they even manned by U. S. Navy personnel. Most of them were manned by civilians as they had been used as commercial cargo ships since the end of WW II. Most of them were operated by Japanese personnel since most of Japan's cargo and passenger ships had been sunk during the war. The following units of the 19th Infantry Regiment, which had just completed their third week of amphibious training at the 8th Army Amphibious Training Center at Camp McGill, Honshu, Japan, near the old Japanese Naval Base at Yokusuka: The 1st Battalion (Bn); Heavy Mortar Company; parts of Regimental Headquarters Company; a Battalion Aid Station and some Engineer and Artillery Sections. The Center was operated mostly by Marines who were experienced in amphibious operations and were on loan from the Navy. In 1949, General MacArthur had directed the Eighth Army Commander, General Walker, to issue a training directive which changed the primary mission of combat units oin teh Far East from Occupation Duty to becoming combat ready. Part of that training was a requirement that one battalion of each of the four Infantry Divisions complete eight weeks of amphibious training. The 34th Infantry Regiment (Rgt) was alerted to move by water to Korea. The Commander of the 19th Regimental Combat Team (RCT), Colonel Meloy and key staff flew from Yokohama at 1:00 AM to Kokura on Kyushu. The main body of men, with their equipment, boarded a train at the Yokusuka Railroad Station at 8 PM the same day. Lt. Colonel Miller O. Perry, Commander of the 52d Field Artillery Battalion ( FA Bn) with Battery A. one half each of Service Company and Headquarters (HQ) Battery, sailed from Hakata on an LST at 4:10 AM. Their mission was to support Task Force Smith. They had 180 men, 73 vehicles and six 105mm howitzers. The 34th RCT with 1,463 officers and enlisted men sailed from Sasebo at 7:20 AM. arriving at Pusan at 7:30 PM. The remainder of the 1st Bn, 21st Rgt, commanded by Captain John Alkire (the Commander of D Co.) boarded the "William Lester, a Korean ship captained by an American Merchant Marine Officer. They arrived at Pusan at 7:30 PM that same day. The 21st RCT, less the men and equipment of Task Force Smith, began boarding the Japanese freighter the "Shinano-Maru". Shinano is Japanese for China. The 52d FA Bn, less the men and equipment supporting Task Force Smith, arrived at Pusan at 9:15 PM. 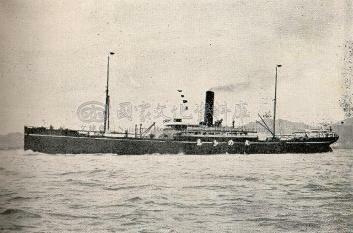 The Japanese freighter "Shinano-Maru" shown above, was built in Glasgow, Scotland in 1900 and was scrapped in 1951. ("Shinano" is Japanese for China). I don't know what "Maru" means, but it appears after the name opf every Japanese commercial ship. This ship is interesting because during the Russo-Japanese War it was the first Japanese ship to sight the Russian Baltic Fleet, which was just completing an 18,000 mile trip. Unfortunately for the Russians, they were running low on coal and had to steam up the strait between Japan and the Asian mainland instead of swinging to the East and coming up the Pacific Ocean side of Japan. Early in the morning, the Shinano-Maru left for Pusan. Just as it was leaving, a second ship, the Shohu-Maru arrived. By 5 PM, it was completely loaded and ready to leave when the local military commander called and said that he had three North Koreans who had been picked up by the Navy. He said that they had to be returned to Korea. The prisoners were brought aboard and placed in an improvised in an improvised brig (Navy for jail cell). 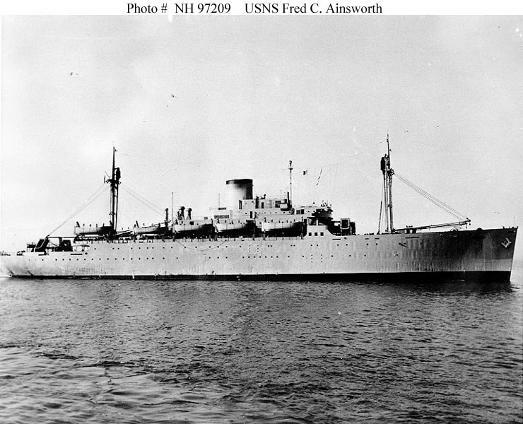 At 8 PM the Shohu-Maru pulled out into Sasebo Bay to await the rest of the 21st RCT, which was to board three LST's, whch the Navy had scheduled to arrive the next morning. Because the Commander of the 24th Infantry Division Artillery was on emergency leave in the United States, the Commander of the 25th Division Artillery, Brigadier General George Barth was temporarily placed in command of the 24th Division Artillery. He arrived early in the morning and took command. At 4 PM, the 52d FA Bn, less the men and equipment supporting Task Force Smith, plus the advance parties of the 23d and 63d FA Bns, sailed fdor Pusan from Hakata-ko on the ship Pembina. Australian destroyers were normally named for one of the Australian aboriginal tribes. General MacArthur and his fanily arrived in Australia shortly after construction was begun, so the name was changed to "Bataan" in his honor. When construction was completed, Mrs. MacArthur christened it when it was launched. It was completed in time to be in Yokohama Harbor for the surrender ceremonies. It turned out to be a "jinxed" ship. Everything which could go wrong did. 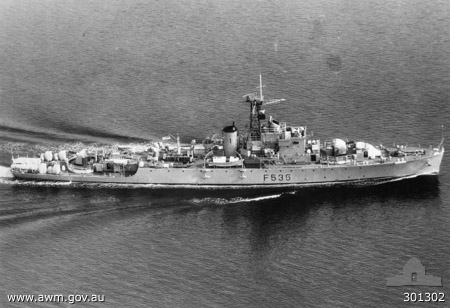 Australian Navy personnel blamed all the problems on the fact that the name was changed. 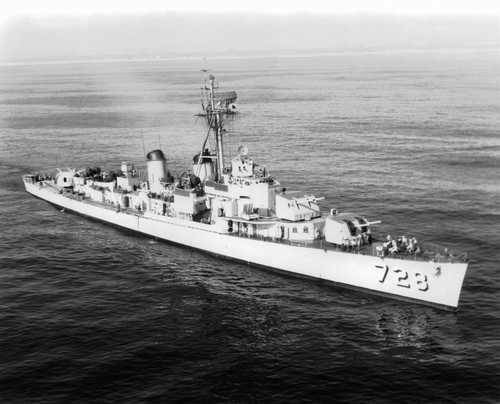 In fact, after the Korean war, it was broken down for scrap metal less than 15 years after its construction had bee completed. Major General Dean, Commander of the 24th Infantry Division had been scheduled to fly to Taejon on July 2d to relieve Brigadier General Church as Commander of all U.S. forces in Korea (USAFIK). Due to bad weather, General Dean did not arrive in Taejon until the afternoon of July 3d. By that time, instead of sending Task Force Smith north to Osan, he split the force into two groups, one to the north and east to Ansong and the other north to Pyongtaek. See "Battle at Osan-Task Force Smith" for details. A total of 800 replacement personnel had arrived for assignment to various Division units. the 19th Rgt was assigned 250 of those men. During the night the units of the 19th Rgt, which had been undergoing amphibious training at Camp McGill, arrived at Camp Chickamauga. The 34th Rgt arrived at Pusan with 1,770 men and 450 vehicles. Battery A of the 26th AAA Bn left Yamaguchi for Kokura. At the same time, 17 truckloads of AAA ammunition were moved Sasebo to Kokura. The 2d Bn, 19th Rgt with one 4.2 inch mortar platoon and a Medical battalion left Beppu for Pusan at 10 PM. The last elements of the 21st Rgt and one platoon of Co. A 78th Heavy Tank Co. arrived at Pusan at 8 AM. (At this point in time there were NO heavy tanks in the Far East, only the "Chaffee", which was the lightest tank in the U.S. Army) The two LST"s which were to accompany the Sohu-Maru from Sasebo Bay were finally loaded and joined the convoy in the bay at 7:30 PM. The Shinano-Maru, carrying the 3d Bn of the 21st Rgt arrived at Pusan in the morning. In the afternoon the Rgt received 265 replacements. Most of them were assigned to the 1st Bn as it was the first unit to be committed to battle. The 3d Bn, 34th RCT was enroute from Pusan to Taejon. Battery A, 26th AAA and one platoon of Co. A, 78th Heavy Tank Bn left Kokura at 2:30 AM in one LST bound for Pusan. 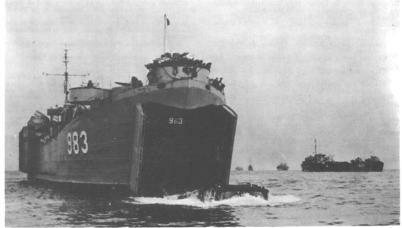 The 13th FA Bn and the balance of the 63d FA Bn left Hakata at 7 AM on an LST bound for Pusan. The balance of the 24th Division Artillery left at noon. During the day the balance of the 21st Rgt, the 63d FA Bn and 48 boxcar loads of ammunition moved to Taejon. The 1st Bn, 34th Rgt was in position near Pyongtaek and the 3d Bn was in the vicinity of Ansong, a few miles east of Pyongtaek. The 19th RCT with the 24th Reconnaissance Co and the 63th FA Bn attached moved to Taegu to defend it from the north. The 1st Bn, 34th Rgt, moved south from the vicinity of Ansong to positions about 5 miles north of Chonan. Companies A and D of the 3d Combat Engineer Bn arrived at Pusan. Company D immediately left to support the 21st RCT. Headquarters and Service Companies left for Pusan. During the night of 6-7 July, the 1st Bn. 34th RCT with the 52d and 63d FA Bns attached withdrew south to defensive positions south of Chonan. Colonel Loveless had been ordered to hold his ground until forced to withdraw by enemy action. Since there had been no enemy action against them at this point, he was relieved of command of the 34th Rgt and Colonel Martin was designated as the Commander. At 8 AM, the 3d Bn with supporting artillery advanced to the north of Chonan until they encountered enemy resistance at 1:05 PM. They then fought successive delaying actions back to the town of Chonan where they established defensive positions south of the railroad tracks going through the town. The 21st RCT, less the units with "Task Force Smith", moved to positions near the town of Chochiwon, about 18 miles southeast of Chonan. At 9:05 PM the 52d FA Bn was relieved from attachment to the 34th Rgt and attached to the 21st RCT. The 19th RCT less Service Co. left Pusan for Taegu. Service Co. was just arriving at Pusan as the 19th RCT was leaving. The advance party of the 24th Reconnaissance (Recon) Co. arrived in Taejon at 6 PM. When the balance arrived with seven M-24 Chaffee light tanks and five M-39 armored personnel carriers, they were immediately ordered north to be attached to the 21st RCT. During the night of July 7-8, the 3d Bn, 34th RCT was subjected to heavy attacks in the town of Chonan. The town was quickly surrounded by the enemy. At 8 AM, the new Commander, Colonel Martin was killed while leading a bazooka attack against a T-34 tank. (the new effective 3.5 inch bazookas did not arrive in Korea until July 10). The Bn fought its way out of town, incurring heavy losses in men and equipment. Colonel Wadlington assumed command of the Regiment. The Regiment then withdrew south to a point north of the the town of Kongju, which is about 18 miles northwest of Taejon. Co. A, 78th Heavy Tank Bn arrived in Taejon at 7 AM. One platoon of four tanks moved to Kongju and the remainder moved to support the 21st RCT near Chochiwon. The 21st RCT, less units with Task Force Smith, moved northwest from Chochiwon towards Chonan to contact the enemy and establish defensive positions. The 52d FA Bn, less the units supporting Task Force Smith, remained in support of the 21st RCT. The orders for the 21st RCT were: If forced to withdraw, go no further south than the bridge over the Kum River south of Chochiwon. The RCT maintained contact with the enemy, but there were no major attacks on their positions. Service Co., 19th RCT left Pusan at 2:39 AM and arrived at Taegu at 6:35 PM. The 19th RCT remained in Taegu with the exception of the 1st Bn which moved east to Yonil to protect the airstrip there. The 1st Bn was also to be prepared to reinforce South Korean troops in the Yongdok area to the north of the port of Pohang-dong. The 11th FA Bn arrived in Taejon atd 2 PM. One battery moved to Chochiwon to support the 21st RCT. The other moved to Kongju to support the 34th RCT. Co. B, 3d Combat Engineer Bn joined the 21st RCT. Co. D and Hq Co arrived in Taejon and Co. A joined the 19th RCT at Taegu. Just before midnight, Colonel Richard Stephens, Commander of the 21st RCT, was also placed in command of the 34th RCT. Positions of the 1st Bn, 34th RCT north of Kongju were subjected to light attacks all day. At nightfall, the attacks became extremely heavy and permission was received to withdraw about five miles to the south. Due in part to heavy enemy artillery fire, heavy losses in men and equipment were suffered during the withdrawal. New defensive positions were established about 15 miles south of Chonan. "The morning of 10 July dawned with a heavy fog which lay close to the ground in the valleys and on the hills, making visibility extremely short." Thus began the War Diary of the 21st RCT for that day. At 8:00 AM the enemy attacked the forward positions of A and D Companies with an estimated 15 to 20 tanks and about 2,000 to 3,000 infantry. Four of the enemy tanks overran the 4.2 mortar positions and the personnel who weren't killed had to evacuate and abandoning their mortars. (Total weight of the 4.2 mortar was 333 pounds. It could be broken down into 3 components, the lightest of which was 53 pounds and the next lightest 105 pounds). The commander of the attached tank platoon asked permission to withdraw for refueling, but was told by Colonel Stephens to stay in place and that fuel would be brought to them. By noon, companies A and D had to withdraw with heavy losses in men and equipment. Immediately after they withdrew, Colonel Stephens ordered the 3d Bn commander, Colonel Jensen, to attack. He apparently caught the enemy by surprise because they were able to drive the enemy back nearly 2,000 yards (a little over a mile). The 3d Bn held the enemy at bay until about 11:00 PM. In the early morning hours as the 3d Bn arrived back at their former positions, they found their old foxholes occupied by enemy troops. Company K spent about an hour clearing them out of the foxholes. The reinforced, re-equipped man of Task Force Smith rejoined the 21st RCT at around midnight. JULY 11: During the night, very heavy enemy attacks, supported by tanks and artillery fire hit the 34th RCT defensive positions. The 1st Bn, 34th RCT was attacked by a large force, which enveloped them in a pincer movement, causing great loss in personnel and equipment. All of the tanks supporting both battalions were knocked out. The 1st Bn began withdrawing about midnight to a point about 8 miles south to a point near Kongju on the Kum River. The 3d Bn, 34th RCT lost all combat effectiveness and the remnants were organized into one composite company. (In other words, they had lost about 80% of their personnel). The 2d Bn, 19th RCT was relieved at Pohang-dong and the Yonil airstrip by the 2d Bn, 27th RCT, 25th Division. Early that morning they moved by rail west to Taejon. The 13th FA Bn left for Taejon by road at the same time. Later, 19th RCT Headquarters and Headquarters Co., Heavy Mortar Co., Service and Medical companies left Taegu, headed west by rail for Taejon. As soon as they arrived, the Command Post staff drove north to the Kum River to reconnoiter their assigned zone for good defensive positions. The men of A and D companies, 21st RCT were reequipped using weapons and other gear from personnel in the Headquarters and Service Companies. Then they joined the men of B and C companies (previously known as Task Force Smith) who had just arrived from Taejon. By 7:30 AM Lt. Colonel Smith had his men in defensive positions along the main highway about two miles north of Chochiwon. Just as the 1st Battalion was moving into place, the 3d Battalion was hit by a heavy enemy attack, initially consisting of four T-34 tanks and about 1,000 infantry, supported by heavy, very accurate mortar fire, concentrated on the battalion CP area. The battalion ammunition supply point ant the communications center were blown up and heavy casualties were inflicted on battalion Headquarters personnel. About four hours later, around noon, after being completely surrounded, the 3d Battalion began to fignt their way toward Chochiwon in small groups. The battalion commander, Lt. Colonel Carl Jenson, the Personnel Officer, 1st Lt. William Cashour, the Intelligence Officer, 1st Lt. William Jester, the Operations Officer, who was not named and the commander of L Company, Captain O'Dean Cox were missing in action. 1st Lt. Jester was captured and died in captivity. The other tree named officers were reported killed in action. A personal narrative was written by Sergeant Cliff Johnson, which was included in a letter to his wife, written on September 13, 1950 recounts that after the retreat from Osan, he was with the remnants of Task Force Smith when they were reinforced and reequipped at the Taejon Airfield. He wrote that during the battle at Chochiwon, the 3d Battalion was almost wiped out and that the few men left were used to form two small rifle companies. In addition to the officers listed above, he wrote that 1st Lt. Leon Jacques, Master Sergeant Leonard Anderson, Master Sergeant Charles Sanchez and Sergeant First Class Richard Heath were killed. During that same battle, a Medical Officer, Captain Douglas Anderson was captured and reportedly died in captivity on September 31, 1951. At 7:20 PM, Co A, 3d Engr Combat Bn was attached to the 21st RCT. JULY 12: The 21st RCT was subjected to extremely heavy attacks beginning at about 10:30 AM. The enemy appeared on both flanks and their request for permission to withdraw to the Kum River line was granted. Withdrawal began at 1:30 PM and was completed by 4:00 PM. After withdrawal across the river was completed, engineers blew up all the bridges crossing the Kum River in their area of responsibility. At that time it was determined that during the previous three days of fighting, there were over 1,000 casualties with many of those listed as missing. Within two or three days, many of those missing men rejoined the regiment. At 1:00 PM the 34th RCT began withdrawing from the north bank of the Kum River to defensive positions south of the river. At sometime after noon, Btry A, 26th AAA Bn was placed in support of the 34th RCT. Immediately after crossing the Kum, engineers blew all of the bridges in their area. The 34th RCT arrived in the town of Konju by 8:00 PM. Co. A, 79th Hvy Tank Bn arrived in Taejon by rail with its 24 M-24 tanks and was immediately attached to the Division. They were bivuoacked at the airstrip and given the mission of patrolling routes south of the Kum river between Kongju and Taepyong-ni. At approximately 30 minutes past midnight, the 1st Bn, 19th RCT arrived in Taejon from Taegu. the 19th RCT CP opened in Taejon. During the day, Co. C, 3d Engineer Combat Bn was attached to the 19th RCT. Sometime after 1:30 PM Btry A, 11th FA Bn, the 52d FA Bn wasForty-two replacements were receIved. It was announced that Lieutenant General Walton H. Walker would take command of all U.S. forces in Korea at one minute after midnight on July 12, 1950, or 0001 local time. Forty of the new 3.5 inch rocket launchers (bazookas) and 200 rounds of ammunition were issued to the Division, with seven of them being issued to 24th Division Artillery units. Of special interest here is the fact that those rocket launchers had been authorized for issue beginning in March 1948 according to Army Tables of Organization and Equipment issued at that time. JULY 13: The positions of the 63d FA Bn were overrun by the enemy resulting in the loss of 9 officers killed or missing and 125 enlisted men killed, wounded or missing. 55 vehicles and all of the 105mm howitzers were lost. The North Koreans were wearing all types of clothing, including civilian and South Korean Police uniforms. 1st Bn, 34th RCT remained in place, sending out patrols, but had no contact with the enemy. 3d Bn CP" was hit by enemy mortar fire and suffered some casualties. One platoon of K Co. moved over the mountains by foot from Kongju about 4 miles south to the village of Kwan-ni. the balance of the 3d Bn withdrew from the Kum River and set up defenses in and around Kwan-ni. The 24th RCT was relieved by the 19th RCT during the morning and moved back to the airstrip at Taejon, arriving there at 1:30 PM. Btry A, 26th AAA Bn arrived at the airstrip and set up defense of the airstrip. Two platoons of the Co A, 78th Hvy Tank Bn were attached to the 19th RCT. The 24th Recon Co continued patrolling along the East bank of the Kum River from Kongju south. All boats on the river were either towed downstream or were destroyed. JULY 14: At 6:20 AM the 34th RCT positions near Kongju began receiving heavy artillery fire, which continued until 9:00 AM. At that time the enemy attempted an amphibious crossing of the Kum River northwest of Kongju, which was repulsed with heavy enemy losses. At 20"25 PM they were ordered to hold Kongju and block any other enemy attempts to cross the river and the RCT was also to prepare delaying positions on commanding terrain along the two roads leading south from Kongju. One artillery piece of the 63d FA Bn was destroyed by a direct hit. Shortly thereafter an attack by 400 to 500 enemy on the 63d FA Bn position forced its personnel to abandon all of their equipment, including all twelve 105mm howitzers. Friendly aircraft attacked and destroyed six enemy tanks, mostly with napalm. With all of its artillery support lost and a large force of the enemy building up in the rear, the 34th RCT was given permission to withdraw. Several heavy attacks, supported by artillery hit the front of the 19th RCT during the day. All attacking forces, which suffered heavy losses, were forced back across the river. The 19th RCT established contact with the South Korean 2d Division on its right at 4:00 PM. It was ordered to bend its left flank back to the south due to the withdrawal of the 34th RCT. The 21st RCT with B Co, 3d Engr Combat Bn attached, reconnoitered the zone to Taejon-Hwangang -Hyondomyon to select defensive positions and were ordered to be ready to occupy defensive positions to prevent the enemy from crossing the Kum River. At about 4:00 PM, the Commanding General, gave orders to reconnoiter defensive positions along the prefectural boundary. The RCT was to remain at the airstrip during the day and be prepared to counter-attack. The 24th Recon Co was to cover the west and south flanks of the 34th RCT when it withdrew. Btry A, 26th AAA Bn and Co A, 71st Hvy Tank Bn were to be prepared to move in support of counter-attacks against possible enemy river crossings. Division rear CP closed in Taejon at 6:00 PM and was to move to Kumchon. The 724th Ordinance Co, the 24th Quartermaster Co, the 8055th Surgical Hospital, Division Headquarters and the 24th Signal Co moved east during the night. JULY 15: The 34th RCT left its positions near Kongju at 1:00 AM. It moved south to Nonsan and then east to defensive positions, arriving in place at 6:30 AM. The 63d FA Bn was partially reequipped with howitzers ant attached to the 34th RCT. The 21st RCT left Taejon at a little past noon and spent the rest of the day preparing defensive positions to the east of Taejon. Co. A, 71st Hvy Tank Bn was attached to the 21st RCT. The 24th Recon Co moved to positions near Chinyong to cover the left flank of the 34th RCT. At 8:00 AM, the units which left Taejon the night before arrived in Kumchon. The enemy made heavy attacks in the 19th RCT area, but heavy artillery fire drove them back. The 29th maintained contact with the South Korean 2d Division, which reported that it was also receiving heavy attacks. JULY 16: Enemy attacks in force began on the left flank of the 19th RCT at 4:45 AM. Enemy troops infiltrated positions of B and C companies and also the 52d FA Bn positions to the rear. One platoon of Co A, 71st Hvy Tank Bn was rushed to the area and by 10:00 AM the enemy had been driven out of the area. The Regimental Commander, Colonel Meloy was wounded and Lt. Colonel McGrail assumed command. Fresh attacks, supported by tanks began around noon and the 1s Bn, 19th RCT was nearly cut off. Counter attacks failed to dislodge the enemy. At about 5:00 PM the RCT withdrew to positions north of Taejon. In the 34th RCT area, our artillery fired on enemy troops in and around the town of Nonsan. During the night, the RCT withdrew to new positions west of Taejon. The 21st RCT continued to consolidate defensive positions east of Taejon. All the remaining elements of Division Artillery, except the 11th FA Bn were consolidated into one composite battalion and placed at the airstrip in general support of the 19th and 34th RCT's. The 24th Recon Co covered the withdrawal of the 34th RCT and patrolled roads to the south during the day. The 19th RCT had no contact with the enemy during the day. At 1:34 pm, the Commanding General (CG) of the Eighth Army, General Walker, ordered the entire 25th Infantry Division to Korea. By this time, the division had provided assistance to 1,041 civilian evacuees from Korea. The 27th RCT left Osaka by train for the port city of Moji. The 25th Division's commander, General Kean, with Colonels Hardman and Michaelis left at 4:00 PM in an L-17 Artillery spotter plane for the city of Taegu. The 8th Army Advance Command Post and the Commanding Officer of the 19th RCT were contacted. Plans were discussed for the relief of the 19th RCT. On the return trio, an aerial reconnaissance was made of the area and the air strip at Yonil, south of Pohang-dong. The group then returned to Pusan, arriving at 9:13 PM. Major Blohm of the 25th Division Light Aviation Section arrived at Pusan Airport at 5:15 PM, accompanied by 13 pilots and their planes. The 27th RCT landed at Pusan and prepared for movement of the 1st Bn to Pohang-dong and the 2d Bn to Uisong. Commanded by Lt. Colonel John H. Michaelis, the 2d Bn left for Pohang-dong to relieve the 2d Bn, 19th RCT, 24th Division Company A, 65th Engineer Bn arrived in Pusan and made preparations to leave for Pohang-dong. The Division War Diary states that the first element to move to an assigned position was the 27th RCT minus the 2d Bn. They moved to Uisong with the mission of securing the high ground north of Andong. the 2d Bn was moving to Pohang-dong to protect that port and the vital airfield at Yonil as well as to block enemy movements from the north and along the lateral roads north of Yongdok, which was north of Pohang-dong. The Command Post (CP) of the 27th RCT opened in Uisong at 6:00 PM. The 1st Bn occupied defensive positions. The 2d Bn, 27th RCT relieved the 2d Bn, 19th RCT, 24th Division at the port of Pohang-dong and at the airstrip south of Pohang-dong located at Yonil. Company A, 79th Tank Bn landed at Pusan at 7:45 AM and moved north to Taegu at 9:00 PM. The 8th FA Bn arrived at Pusan and moved directly to Uisong to join the 27th RCT. It was announced that Lieutenant Walton H. Walker would assume command ot all U.S. forces in Korea at one minute after midnight on July 12, 1950, or 0001 local time. His headquarters was to be designated "EUSAK" (Eighth United States Army in Korea). located in Taegu. The 24th RCT, commanded by Colonel Horton V. White, arrived in the Kumchon area with the mission of blocking enemy movements south from the Taejon and Chongju areas. The 2d Bn, less Co H left Pusan for Pohang-dong and remained there overnight with elements of the 27th RCT. The first 25th Division CP was established at 10:00 AM in a primary school building in Yongchon. The 2d Bn, 24th RCT left Pohang-dong for Kumchon, where Co. H, coming direct from Pusan, met it. The 3d Bn, 24th RCT left Pusan at midnight. The following units of the Division arrived in Pusan: 24th RCT Headquarters and Headquarters Co. (Hq & Hq Co), 65th Engineer Combat Bn, 25th Medical Bn and 725th Ordinance Maintenance Co. They immediately moved to the vicinity of Yongchon. The 1st Bn, 35th RCT arrived at Pusan at 2:45 PM and prepared for movement to Yongchon. At 3:45 AM the 3d Bn, 24th RCT was ordered to leave at daybreak to capture the town of Yechon and block roads north of Hamchang. Batteery A of the 90th FA Bn was attached and the force arrived at Yechon at 4:00 PM. The first Prisoner of War (POW) captured by the division was Suk, Yun Chan, a 21 year old soldier who had been in the 766th Regiment, which had 2,500 men assigned had the mission of infiltrating our lines. They were commanded by Major General Oh, Jin U. Suk had served in the Chinese Red Army until April, 1950 when he, along with about 20,000 other Koreans were discharged for service with the North Korean Army. The 25th Signal Co. landed in Pusan and proceeded to Yongchon. At 4:30 AM the 1st Bn, 27th RCT began moving into position north of Andong. They were to block roads leading north towards Yongju, west to Yechon and east to Yongdok. They also maintained liaison with the Republic of Korea (ROK) 8th Division. The 35th RCT, commanded by Colonel Henry G. Fisher, moved to Yongchon. The 5th Cavalry Regiment transferred 166 enlisted men to the 24th Replacement Company of the 24th Infantry Division. The 7th Cavalry Regiment transferred 166 enlisted men to the 24th Replacement Company of the 24th Infantry Division. Men were to proceed on 1 July with effective date of transfer being 4 July. The 8th Cavalry Regiment transferred 165 enlisted men to the 24th Replacement Company of the 24th Infantry Division. Men were to proceed on 1 July with effective date of transfer being 6 July. Division Artillery transferred 120 enlisted men to the 24ti Infantry Division. Company A, 71st Heavy Tank Company was alerted to move by water to Korea for attachment to the 24th Infantry Division. Company A, 71st Hvy Tank Bn with 125 enlisted men and 6 officers left Camp Chigasaki at 8:00 AM for Camp McGill arriving there at 9:00 AM. The 99th FA Bn left for Camp McGill for special amphibious training. The Amphibious Training Center at Camp McGill was attached to the Division in order to expedite planning and training for "Operation Bluehearts" under the supervision of Colonel Edward Forney, United States Marine Corps (USMC) utilizing personnel from the Eighth Army's Amphibious Training School at Camp McGill, including a number of Marine Corps personnel who were experts in amphibious operations. Those plans called for moving the entire First Cavalry Division in three lifts, landing at Inchon. Division personnel began receiving training which was supervised by Marine Corps officers. The training primarily consisted of instructions and practicing debarking from transport ships into landing craft by using mock-ups constructed at Camp McGill and which had been in use since about February 1950. Elements of the 43ds and 13th Engineer Battalions (Engr Bns) and the 55th Treadway Bridge Co. were attached to the Division. Companies B and D, 8th Engr Combat (C) Bn moved to Camp McGill for shore party training. The 64th FA Bn arrived at Camp Zama and was attached to the Division. The 5th Cav RCT began preparing for embarkation. Sometime between July 9 and July 14, the destination for the amphibious landing was changed because of the unexpectedly rapid advance of the North Korean forces. "Operation Bluehearts was carried out except that the destination was changed from Inchon on the west coast to Pohang-dong, further south and on the east coast. According to the War Diary for this date, the 1st Bn of the 8th Cav RCT and Battery A of the 92d AAA Bn assembled for embarkation. The 77th FA Bn completed a 3 day orientation in amphibious movement in preparation for loading onto LST's and moved to Opama, south of Yokohama. 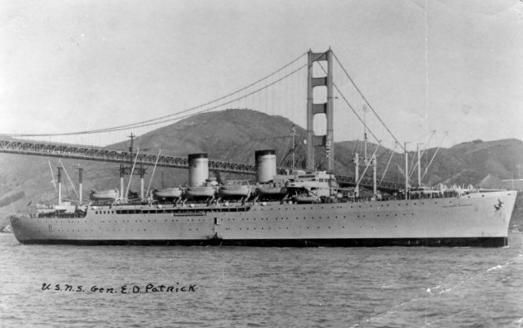 Four LST's were each loaded with 10,000 pounds of ammunition. 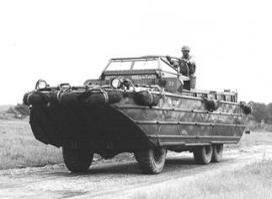 DUKW's of of the 8082d Amphibious Truck Co. then ferried 105mm howitzers to those same LST's (DUKW's, see photo below, were wheeled vehicles which could operate both on land as well as in the water). The 7th Cav RCT began preparations for their departure on the second lift. 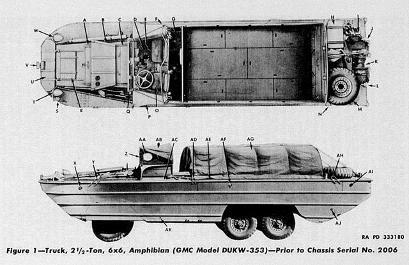 DUKW'S WERE A MODIFICATION OF THE STANDARD 2 1/2 TON ARMY TRUCK. THE DRIVER HAD A CONTROL TO CONTROL AIR PRESSURE IN THE TIRES - LOW FOR DRIVING IN SAND OR OTHER SOFT SURFACES AND HIGH FOR DRIVING ON HARD SURFACES. The 64th FA Bn was relieved from attachment to the 1st Cavalry Division and was to be attached to the 24th Infantry Division immediately upon its arrival in Korea. First Cavalry units began loading on ships for movement of the First Lift to Korea. A group consisting of Lt. Colonel Holley (Division Engineer), Major Morrison (Division Intelligence Officer), Major McCord (Division Air Officer), Captain Perrin (Division Signal Corps Photographer), Captain Ware (Division Signal Officer), Captain McNary (8th Cavalry Regiment), 1st Lt. Breslin (8th Cav Regiment) and Master Sergeant Robert Broderick (5th Cav Regiment) flew to Korea to reconnoiter the landing area. It was announced that Lieutenant General Walton H. Walker would assume command of all U.S. Forces in Korea adt one minute after midnight on July 12, or at 0001 hours, local time. His headquarters was to be designated "EUSAK" (Eighth United States Army in Korea), located in Taegu. Elements of the 8th Cav RCT sailed from the North Dock Area of Yokohama. Division Artillery units, less the 82d FA Bn sailed from Opama. Elements of the 5th Cav RCT were loading aboard the APA Cavalier, AKA Oglethorpe (Photos below) and 3 LST's. The Division had received 1,450 replacements. The actual requirement was for 126 officers and 2892 enlisted men. Some sections of Division Headquarters comprising the first lift boarded the Command ship, USNS Mt. McKinley, shown below. Remaining elements of the Command Group of the 1st Cavalry Division boarded the Command Ship, USNS Mt. McKinley. The balance of the first lift, primarily the 5th Cavalry RCT continued loading. The 7th Cavalry RCT and other units of the second lift commenced loading. The remaining elements of the Division Headquarters forward echelon boarded the Mt. McKinley. A Command Post was established, working closely with Navy and Marine Corps personnel. Loading of 5th Cav RCT (Regimental Combat Team) continued. Loading of the 7th Cav RCT and other elements of the second lift commenced. The Advance party of the Division departed Japan for Korea by air. a. Medical Detachment commanded by Lt. Colonel Barmand; 8th Engr (C) Bn; Detachment of 15th QM (Quartermaster) Co.; 15th Med Bn; 8063d Surgical Team; 13th Sig (Signal) Co.; Detachment of 27th Ord (Ordinance) Maintenance Co.; 545th MP (Military Police) Co.
b. RCT 5 commanded by Colonel Rohsenberger; 5th Cav; Co. A, 8th Engr (C) Bn; Detachment 13th Sig Co.; Bn Anglice Det. ; IPW team 5; Arty (Artillery) Liaison Party and FO's (Forward Observers), 61st FA Bn. c. RCT 8 commanded by Colonel Palmer; 8th Cav; Co C, 8th Engr (C ) Bn; Detachment 13th Sig Co.; Bn Anglice Det. ; IPW Team 8; Arty Liaison Party and FO's, 99th FA Bn. d. 16th Recon (Reconnaisance) Co. commanded by Captain Harvey. e. Div Arty commanded by Brigadier General Palmer; 61st FA Bn; 77th FA Bn; 99th FA Bn; Btry (Battery) A, 92d AAA (Anti Aircraft) AW (Automatic Weapons) Bn; 8062d Amph (Amphibious) Trk (Truck) Co. with 66 DUKW's. f. Div shore party commanded by Lt. Colonel Gibbons; Co B, 8th Engr (C) Bn; Co D, 13th Engr (C) Bn; Eighth Army ATC; 14th Engr Band; Co D, 8th Engr Bn; Co A, 43d Engr Bn; Two Sig (Signal) Det - 13th Sig Co.; Two Ord (Ordinance) Det - 27th Ord Maiontenance Co.; Two MP Det - 545th NP Co.; Two Clearing Platoons - 15 Med Bn. ; Two Det - 15th QM (Quartermaster) Co.; Det Naval Beach Group One; Det 8062d Amph Trk Co (13 DUKW's). The 5th RCT completed loading by 11:00 AM and at 5:30 PM sailed from Yokohama. 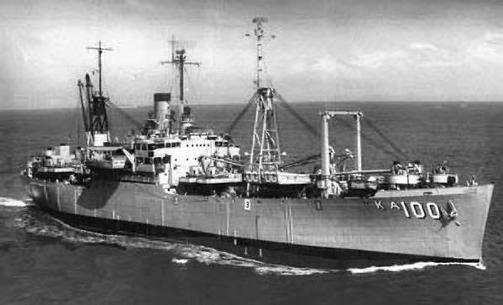 Two Japanese opeerated ships loaded with most of the 2 1/2 ton trucks of the 7th RCT sailed from Yokohama for Korea, where they would meet the second lift. The Mt. McKinley received predictions of typhoons and heavy seas beginning within 48 hours. 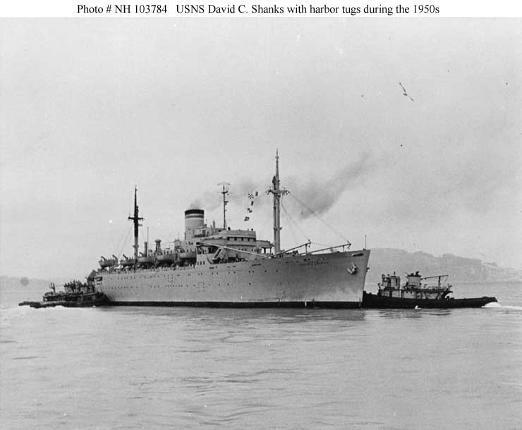 Loading of the second lift aboard the USNS Shanks, Ainsworth and Patrick (shown below). The 7th Cav reported the following major items short: anti-tank mines, 4.2 HE (High Explosive) mortar ammunition, 9 pairs of binoculars, 57mm recoiless rifles, 3.5 inch rocket launchers (bazookas) and ammunition. The second lift of the 1st Cavalry Division completed on the Shanks, Ainsworth and E.D. Patrick and sailed from Yokohama harbor with Brigadier General Allen, the Assistant Division Commander in command.The second lift of the 1st Cavalry Division completed on the Shanks, Ainsworth and E.D. Patrick and sailed from Yokohama harbor with Brigadier General Allen, the Assistant Division Commander in command. After conferring with General Walker, the Division Advance party sent a message that speedy unloading was imperative! The second lift of the 1st Cavalry Division completed on the Shanks, Ainsworth and E.D. Patrick and sailed from Yokohama harbor with Brigadier General Allen, the Assistant Division Commander in command. The first lift of "Operation Bluehearts" arrived at Pohang-dong with H-Hour (hour at which landing was scheduled to commence) designated as 7:15 AM. Forward elements of the 8th RCT were ashore by 6:10 AM. Lead elements of the 5th RCT began landing at 6:30 AM and were completely assembled about 5 miles west of Pohang-dong. They were alerted for movement to Pongdok the following day. Unloading of supplies and equipment continued for the rest of the day and all through the night. At 6:15 AM, the 5th Cav RCT left for Kwan-Ni. Elements of the 5th RCT began arriving at Kwan-ni by 3:00 PM and were continuing to arrive all through the night. At Pohang-dong, unloading was being expedited as all of the ships would have to get to a typhoon refuge area before the arrival of Typhoon Helene. Unloading was completed by 5:00 PM. The Commanding General, 8th Army directed that the division be concentrated in the Yongdok-Kumchon area. The last elements of the 5th RCT arrived at Kwan-ni at 9:00 AM. The plan was to relieve a unit of the 24th Division near Taejon.The 8th Cav RCT began leaving Pohang-dong by train and truck, arriving in the vicinity of Yongdok. The 8th RCT reported shortages of three 75mm recoilless rifles, eighteen 57mm recoilless rifles, all 3.5 inch rocket launchers, sniperscopes and most of the radios it was authorized. Eighth Army directed that A "Co, 71st Tank Bn was relieved from attachment to the 24th Division and would immediately revert to control of the 1st Cavalry Division. They also stated that the Division would receive 258 of the 3.5 inch rocket launchers from the 24th Division upon its relief by the Division. The second lift, which had been scheduled to land today was diverted back to the open sea because there were two typhoons near the landing area at Pohang-dong. The 1st Bn of the 8th RCT arrived at its forward position at 6:00 AM and the 2d Bn arrived at 9:00 AM. The remainder of the first lift, including Division Headquarters moved to the vicinity of Kumchon. The Division was to secure Yongdong with strong positions west of Yongdong. They were to coordinate movements with the First Korean Corps on the left and the 25th Division on the left. The 1st platoon, Co. A, 71st Tank Bn was attached to the 8th RCT and the 2d platoon was attached to the 5th RCT. The 1st Bn relieved elements of the 21st RCT of the 24th Division. By 11:00 PM the 2d Bn had occupied positions southwest of Yongdong. Eighth Army ordered that as soon as the second lift was able to land, the 1st Bn, 7th RCT was to defend the east coast north from Pohang-dong. The Tactical Air Control Party (TACP) consisting of Lt. Bryant of the 40th Fighter Squadron joined the 8th RCT. The Intelligence and Reconnaissance Platoon (I&R) of the 5th Cav was ordered to reconnoiter the route from Kumchon to Hamyang and Chinju until relieved by elements of the 7th Cav RCT. At the end of the day, dispositions of units were as follows: 2d Bn near Ka-ri, 1st Bn at Hwangan, Co. A, 8th Engineer Combat Bn and 61st FA Bn with two sections of A Battery (Btry) attached were in Hwanggan. The I&R platoon was in bivouac near Kochang. Patrols from 1st Bn, 5th Cav RCT contacted KMAG personnel with the ROK I Corps and were notified that ROK units would be moving back through our road blocks on the west side of Hwanggan at about 10:40 PM. The Division Advance Command Post (CP) moved from Kumchon to Hwanggan. The 5th Cav RCT left its position at 6:45 AM and was committed to its first action (purely local) for the first time. The 1st Bn, 8th Cav RCT was under attack by artillery, mortar, tank and infantry beginning at 6:00 AM and ending at 10:00 PM. The air liaison officer reported that 5 tanks and 15 miscellaneous vehicles were destroyed by a combination of air and artillery action. The 8th RCT lost 3 men Killed in Action (KIA) and 12 men Wounded in Action (WIA) during the day. The enemy established a road block behind the 2d Bn, 8th RCT between it and the town of Yongdong. Lt. Colonel Eugene J. Field, 2d Bn Commander was wounded while they were moving through the road block and had to be evacuated to Japan. Units of the 2d lift began moving toward Kumchon minus the 1st Bn, 7th Cav RCT. Upon arrival east of Yongdong they became the Division reserve. Control of refugees in the Division Zone ofd Responsibility (ZR) was a difficult problem as many of the innocent looking refugees dressed in the traditional white clothing of the Koreans turned out to be North Korean soldiers transporting ammunition and heavy weapons in farm wagons and carring military equipment in packs on their backs. In one instance a man carrying a heavy pack was accompanied by a pregnant woman and a small child. An investigation revealed that the woman was not pregnant, but was carrying a small radio in her clothing so that she appeared to be pregnant. The radio was being used to transmit information about our positions. In order to reduce the ability of North Koreans to poperate in this manner, the following rigid controls were put in place in the Division Zone of Responsibility. (a) No school, shops or industries will be operated except those essential to the war effort. (b) Movement will permitted daily from 10:00 to 12:00. (c) No ox-carts, trucks or civilian cars will be allowed to operate on highways. (d) No fields will be worked. (e) Municipal authorities, local police and National Police will enforce this directive. (f) Arm bands will be worn by essential personnel such as municipal authorities, police, doctors, mid-wives, railroad and telephone personnel. The 1st Bn, 8th Cav was in position west of Yongdong on the Taejon highway. The 2d Bn was in position southwest of Yongdong on the Sosan-ni highway. They were seven miles apart with no friendly troops in between. An enemy road block had been established the day before behind the 2d Bn and today the enemy began moving around their flank. The numerically superior enemy could be stopped in front by heavy artillery fire, but there was no way to prevent them from going around the ends. Four reinforced patrols from 8th Cav Hq Co. supported by three M-24 light tanks from Co. A of the 71st Tank Bn failed in an attempt to neutralize the ambush behind the 2d Bn. Patrols reported that the enemy fired on ambulances and litter jeeps as well as other vehicles. The 8th Cav had its first experience with enemy anti-tank weapons. Div Arty reported a medium caliber 4-gun battery destroyed. The 5th Cav was informed by Div Arty at 8:40 AM that 200 enemy had been observed and were being fired upon. A reinforced platoon from B Co. left at 9:40 AM to make a reconnaisance of the high ground west and southwest of Yongdong. Minutes later, the Regimental Commander ordered all personnel (cooks, mechanics, etc) except drivers to be organized as a reserve rifle company. At 10:32 AM the 1st Bn departed for Yongdong. At abolut noon the I&R (Intelligence and Reconnaisance) Platoon left on reconnaisance and encountered a group of the enemy who were snipiong and dropping mortar fire on artillery positions. The enemy was dispersed. The 1st Bn, 5th Cav, passed thru Yongdong and atopok up positions on commandoing hills southwest of the town. The 8th Cav had established a defensive line astride the Taejon-Yongdong road 4 miles northwest of Yongdong. The 5th Cav suffered its first casualties, six KIA (Killed In Action) and 9 WIA (Wounded in Action). The 1st Bn, 7th Cav and supporting units moved forward to Chngsa-dong, north of Pohang-dong. When the enemy attacked during the early morning hours, they were quickly repelled. During the day, the enemy was steadily hammered by 4.2 and 81mm mortar fire, field artillery and naval gun fire and supported by air strikes by F-51 aircraft. This pressure forced the enemy to withdraw about 2,000 yards ( a little over a mile). The two-battalion make up of each regiment was proving completely inadequate for combat operations and in the case of the 7th RCT, having one battalion operating in the Pohang-Dong area and the second battalion moving west toward Yongddong only made the situation worse. At 10:00 PM, the 1st Bn, 7th Cav RCT was relieved in place north of Pohang-dong by the 1st Bn, 21st Infantry Division. At 11:13 PM they left to rejoin the rest of the 7th Cav RCT near Yongdong.. the enemy entered Yongdong at about 5:00 PM. As of this date, 1st Cavalry Division artillery units have suffered a total of thirty-one casualties.